Whenever you want to fix your Texas City garage doors, get in touch with our company. Every time you need to make changes, like installing a new opener or even replacing the existing door, come to us. 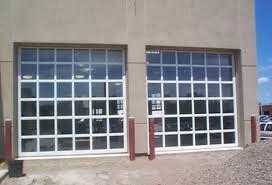 At Garage Door Repair Texas City, we offer full services, support, and high quality products. With the help of our local team, problems are tackled in no time and the lifespan of your garage door is expanded. We are a professional team and offer garage door repair services in Texas City, Texas. All pros are certified, licensed, dedicated, insured, and reliable. Trained to service all brands, our techs can install, replace, maintain, and repair rollup, sectional, and one-piece doors. Whether you need residential or commercial door service, you can rely on us. Every time there is an urgency, one of our experts will be there in no time to handle the problem. Each vans contains all the tools needed for services. We will provide the new replacement parts and be there to replace anything broken or damaged. We are the garage door company that can help any time you need service that can be trusted and afforded. We perform garage door service with attention knowing that the outcome of our work will determine the performance of the door and in turn your safety. You can rely on us for anything you need. We are here to provide garage door opener repair in a timely fashion. If the door is not moving right or not closing, call our techs to troubleshoot. Our pros are qualified and trained to fix and replace all opener types, motors, and brands. Contact our team if parts are broken or the door is noisy. We replace broken garage door springs, cables, tracks, and any other component. Our tech will fix the panel, make adjustments, and repair any door. We can keep all parts of the door running smoothly with lubrication, adjustments, and repairs. Call us for regular maintenance. Our company can provide you with new doors and install them along with new openers. For excellent service at low prices, get in touch with our Texas City Garage Door Repair company today.